For such tiny insects, mosquitoes pack a large punch. Responsible for over 800,000 deaths per year worldwide, they are the hitmen of some of the deadliest diseases, including Zika virus, Yellow fever, Dengue fever, and Malaria. The females use the protein in human blood to produce eggs, and although biting causes little direct harm, the microorganisms that live and breed in the mosquitoes’ guts are transmitted directly into the victim’s bloodstream, where they can cause serious damage. Viruses and protists (unicellular eukaryotes, including Malaria) are notoriously difficult to treat once infection has taken hold, which is why there are currently no effective drugs against the common cold or flu, both of which are viral. Due to the evolution of resistance, complex lifecycles and clever mechanisms to avoid immune detection, these diseases are also challenging and expensive to vaccinate against. For these reasons, control of Malaria and other vector-borne diseases has focused on the mosquitoes that transmit them. Simple mosquito management strategies, such as bed nets, are the most efficient and cheapest way to reduce population levels whilst preventing resistance. International efforts have developed more elaborate genetic methods, including genetic engineering, and sterilisation of males through infection with Wolbachia bacteria. However, manipulating the biology of a whole species is not easy, and raises issues, including whether it is ethical to introduce new genes or wipe out a species irreversibly, and the unknown implications on the rest of the ecosystem. Consequently, many scientists have stuck to older methods of mosquito population control – pesticides and insecticides. An infamous example of these is dichlorodiphenyltrichloroethane (DDT), a powerful killer of many insects, which has been banned in many countries for its inadvertent damaging effects on the food chain. Other more favourable chemicals act by repelling mosquitoes rather than killing them, many effective products contain the active ingredient N,N-diethyl-3-methylbenzamide (commonly known as DEET), the smell of which insects intensely dislike. 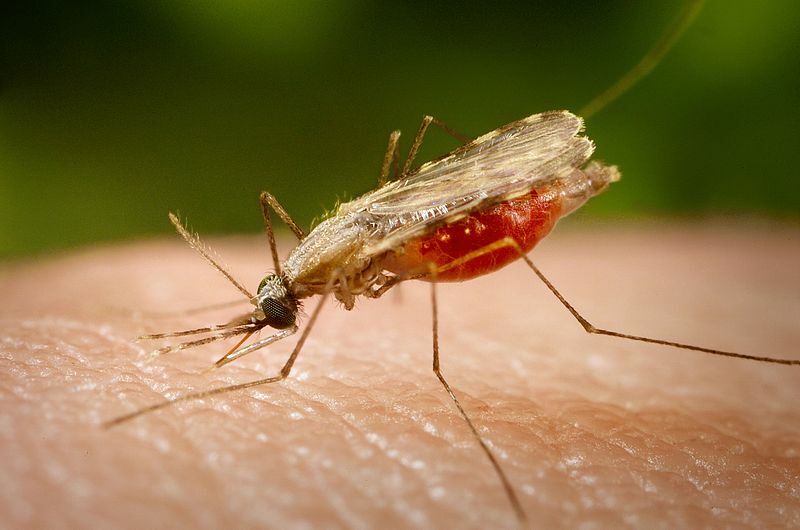 However, scientists are noticing the development of resistance to DDT and DEET, so the race to find new safe but effective repellents is crucial if we are to reduce mosquito-related deaths. A recent study published in Science Advances has shown the repellent-activity of extracellular secondary metabolites produced by bacteria belonging to the genus Xenorhabdus, which naturally infect the nematodes (worms) that live inside insects. The active components, fabclavines, performed as well as DEET, and can be extracted and used as safe repellents that are against several important mosquito species.